Found this on pinterest this afternoon. What a paint job. I believe that is wrap. I think its a wrap with chrome vinyl. That may be a vinyl wrap! I bet it is no fun to be behind on the road on a sunny day. Or even head lights shining off the back at night might be a problem. Good Lord ... the 'FULL' chrome package! Definitely a wrap! Seen a few Audi's and Mercedes that way. There is a thing such as too much....but this may be the only thing left [email protected] RYD! No, No, No. If I remember someone posted a picture of a Candy Apple Red wrap a while back. As long as you find someone who can work with the continuously changing angles. One wrinkle can ruin your day. BlueStreak, actually the front spear is pretty straight forward from a wrap perspective. It's not as hard as you might think as the wrap film is so pliable. 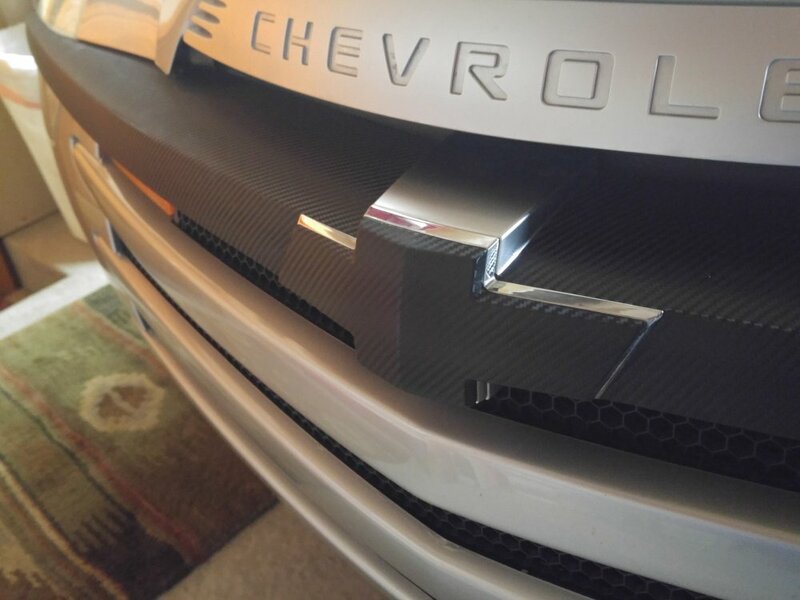 Here's a pic of mine done in carbon fiber. The hard part is getting over the cost of high quality chrome wrap film. That stuff is silly money. 05 blur with chameleon ghost flames and Magna charger. I believe that chrome wrapped SSR Is from south Florida. Or it used to be. Love it if I could afford it. It's a little too Justin Bieber for me. Not a good look. BlueStreak and Auggie Doggie like this. I hope the craze gets stopped before it causes accidents. Police in Germany have ordered a gold wrapped Porsche Panamera and a Lamborghini off the road until the wrap was removed. The Lambo driver complied, but the Panamara owner persisted. His car has now been impounded. I liked it better when flat black was the latest craze. Here's the story on an local online news source. You might have to scroll down to the Porsche photo.